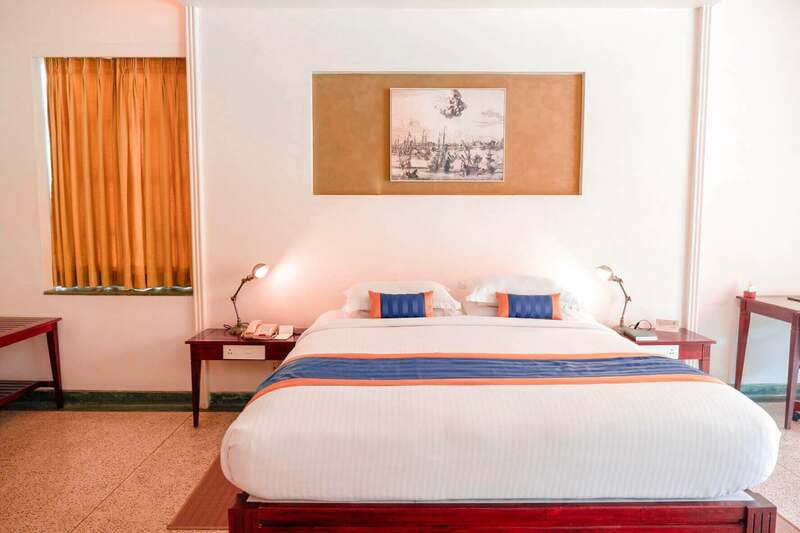 A few minutes away from the CGH Earth Brunton Boatyard in Fort Kochi is another hotel branch of CGH Earth Hotels. This is the CGH Earth Eighth Bastion. 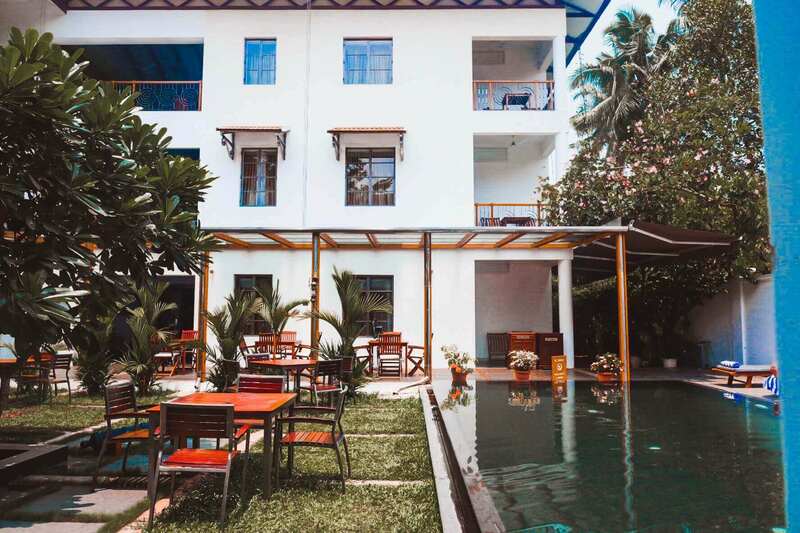 During the sunset, I remember doing a lovely walk from the fishing nets to the beach and after a bit finding myself in this second branch of CGH Earth Hotels in Fort Kochi. The Dutch influences in Fort Kochi are less conspicuous compared to the British and Portuguese influences in the area. 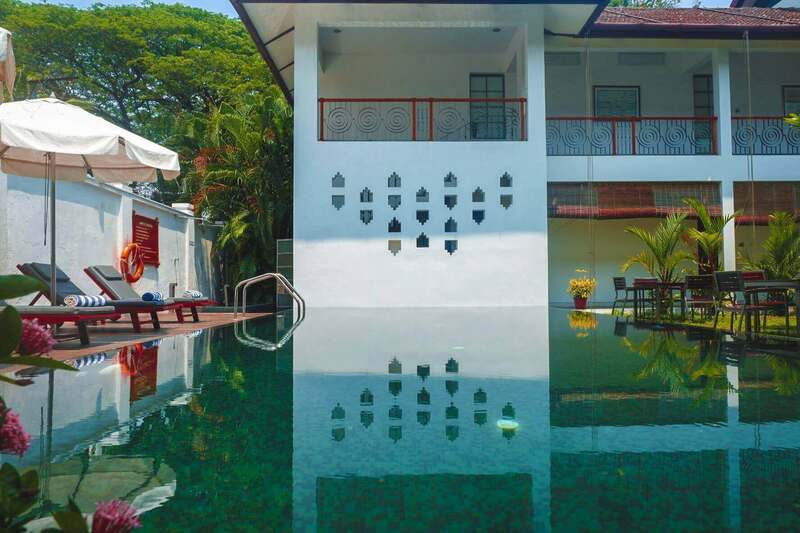 While maintaining the sustainably focused brand of CGH Earth Experience Hotels, the Eighth Bastion aims to retell this less evident chapter in the history of Indo European that took place in Fort Kochi. Compared to the Brunton Boatyard, the Eighth Bastion is a bit more compact with only 19 suites. But, it is strategically closer to the important landmarks and attractions. 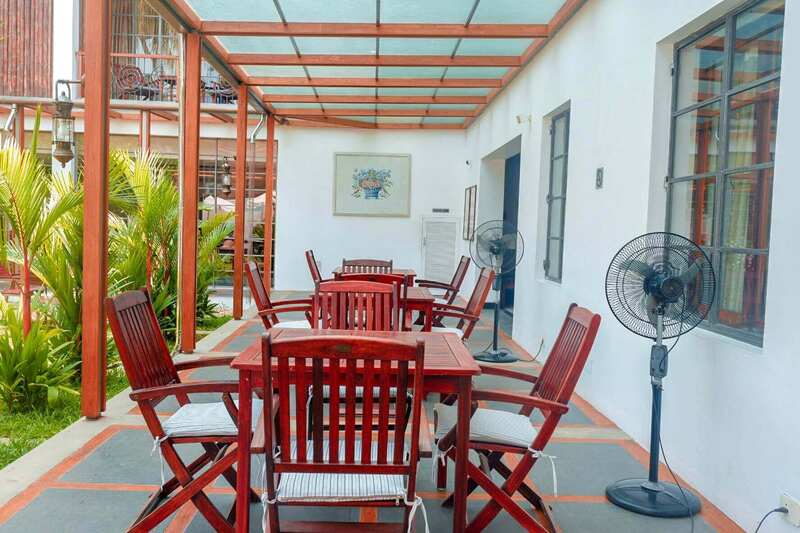 It is at a walking distance to the Chinese fishing net area, St. Francis Church, Santa Cruz Basilica, Princess street, shopping streets and Dutch mansion. The CGH Earth Eighth Bastion is located along the Napier Street. There can be noises that can be heard in some of the rooms. But, it will less likely disturb you from your sleep. Continue reading below to learn more about the CGH Earth Eighth Bastion and my personal experience. CGH Earth Eighth Bastion is a three-story white mansion with only 19 suites. It is a renovated heritage house that retained its western style design with few alterations to add contemporary design. We stayed in the room with balcony. The balcony had a good view of its courtyard. 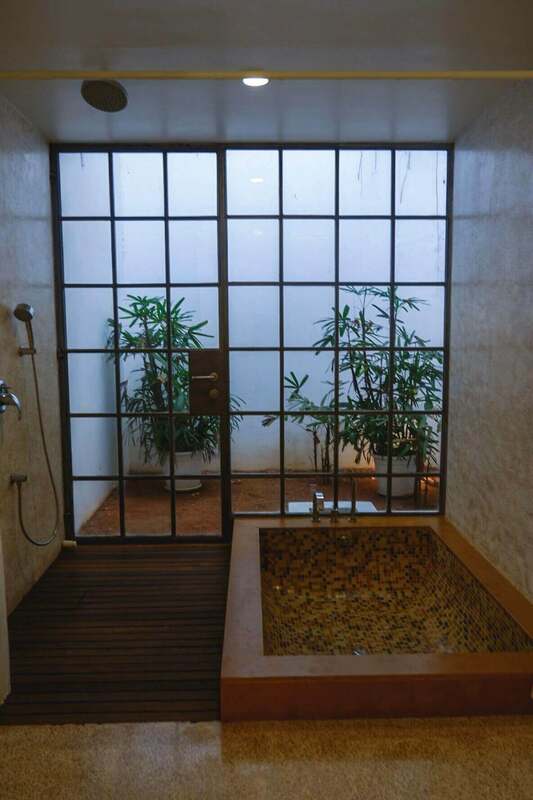 I like the rooms with bathtubs in it. They are spacious. 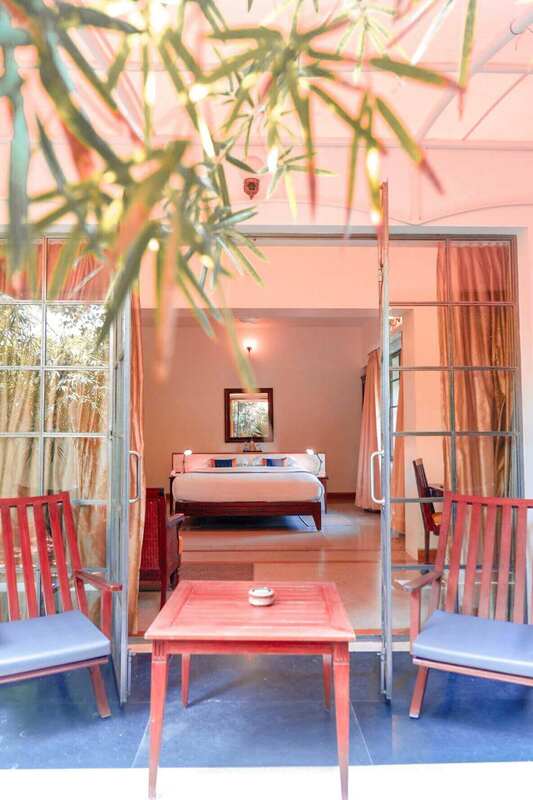 On its ground floor are large rooms with verandah by the garden. 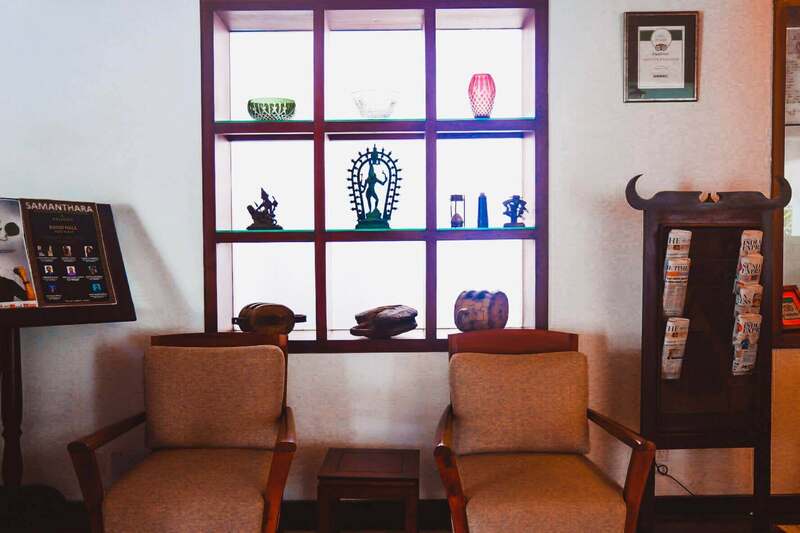 Basic room amenities include tea and coffee maker, safe locker, clothes rack, aircon, desk, small lounge, bathroom with shower. 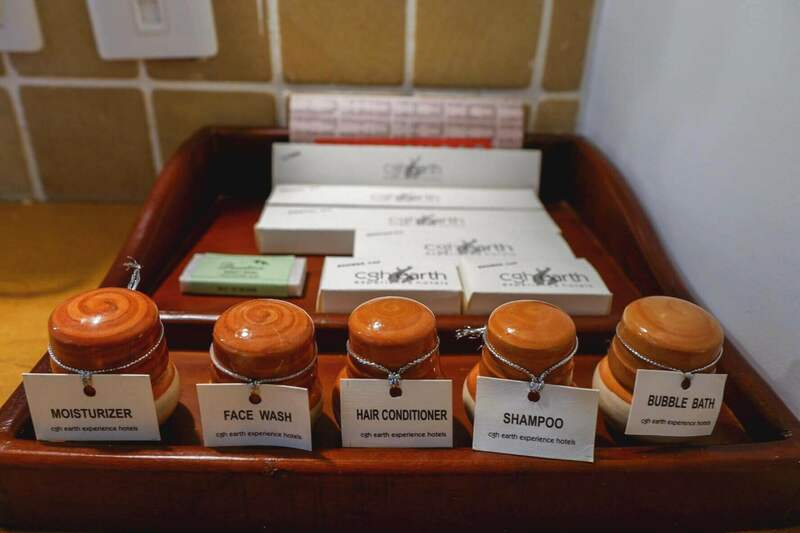 As a branch of a sustainable luxury hotel, CGH Earth Eighth Bastion uses small ceramic pots where they place your shampoo, moisturizer, bubble bath and hair conditioner. Then, they use carton for your dental kit, comb, shaving kit, shower caps, and herbal soap. Also, the Eighth Bastion uses glass bottles, instead of plastic bottles, for mineral water. It’s a simple act but really reduces a significant number of plastic bottles. The Eighth Bastion has a small pool in the courtyard, just right for a quick lap. The free wifi was working well. The hotel only has a coffee bar in the lobby. Alcoholic beverages can be bought at the nearest licensed store. The alcoholic drinks can only be consumed inside your Bastion rooms. CGH Earth Eighth Bastion only has one in-house restaurant, the East Indies Restaurant. 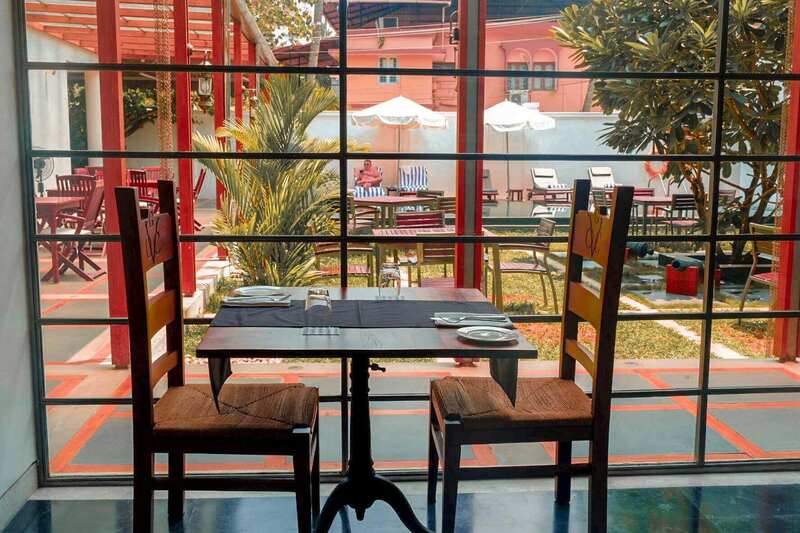 You can dine inside the air-conditioned common dining area or try their alfresco sitting area in their courtyard. At night, the settings will be more idyllic. The theme of the menu of the East Indies Restaurant, Eighth Bastion, revolves around the food specialty of the Dutch Route in South Asia. 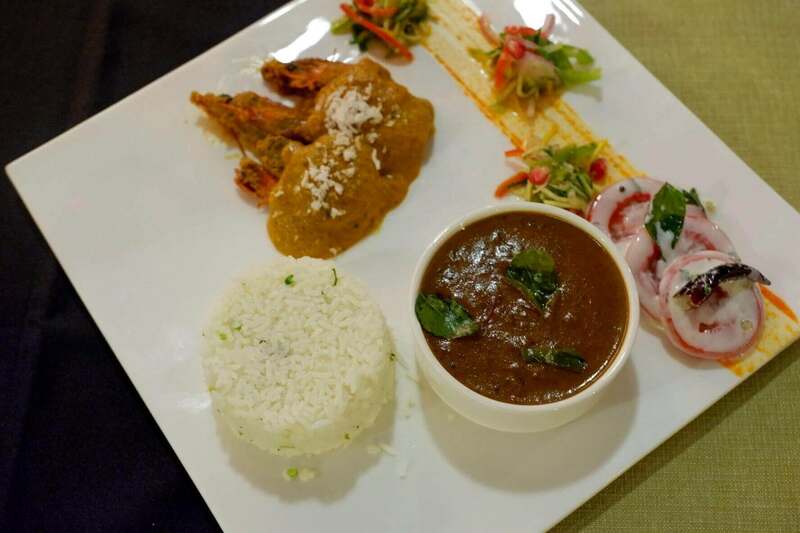 The fresh and local ingredients, especially the Indian spices, are still the hero of the dishes. Take for example the Frikkadal or Frikkadel. Basically, it’s a meatball, a popular European food, which is believed to be introduced by the Dutch to South Africa. 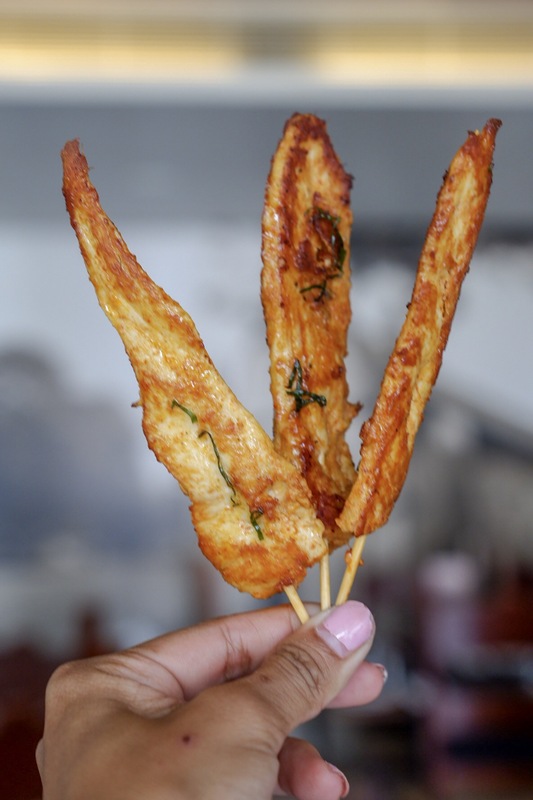 It was then improved with Indonesian and Indian spices to enrich its flavor. 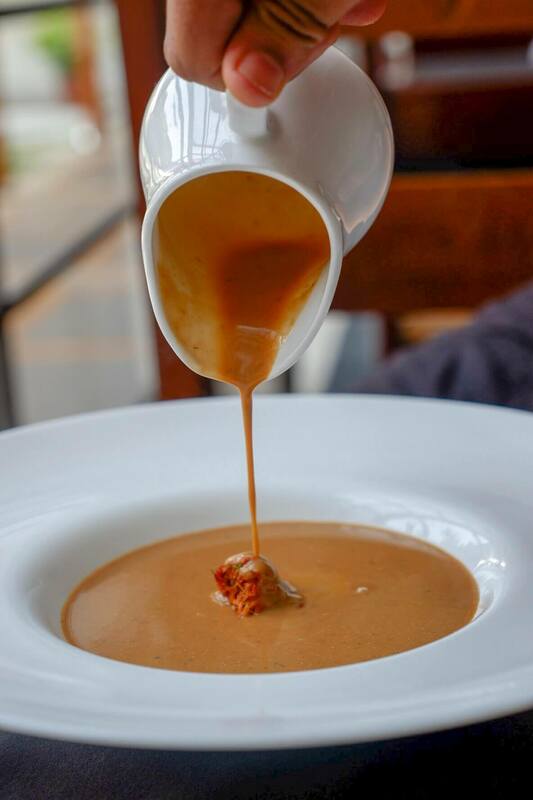 On their menu, they have Indonesia’s chicken satay and Rendang or Caramelized Curry, Sri Lanka’s shiitake mushroom bisque and rice dish, lamprais, and many more. You can have them as an a la carte order. Or, you can also have their 5-course set menu. Options are either vegetarian, seafood or meat set menu. The price per set menu costs around INR 1200 to INR 1600 (Php 937.23 to Php 1,249.64 ). For the special meal for the day, you may request them to the chef. 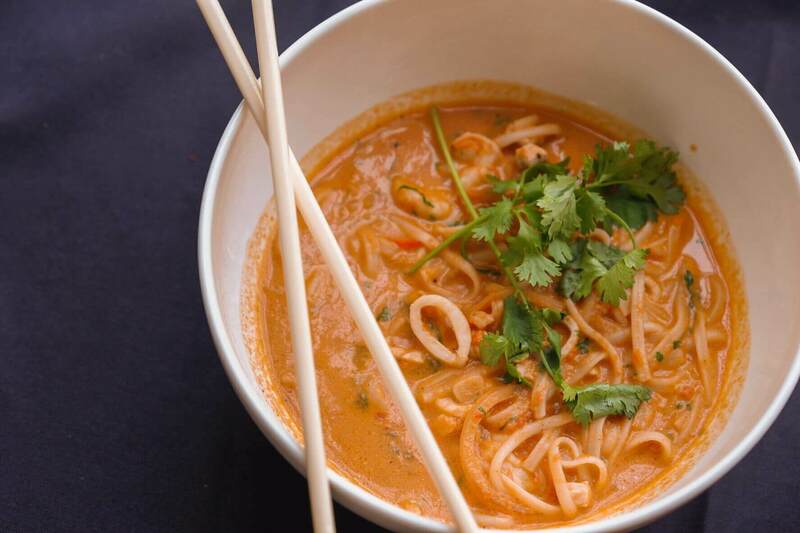 I love the seafood noodles and crab soup, just like in Brunton Boatyard though different takes both soups. For breakfast, the hotel offers fresh fruits, cereals, and pastries. 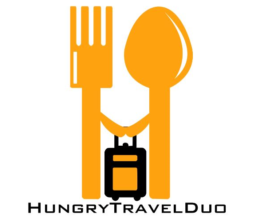 For Indian breakfast, they have idli and sambar (rice cake with jaggery and spices), oothappam (thick pancake with vegetables) also partnered with sambar, and red rice puttu (red rice cake with grated coconut) partnered with black channa curry (Black Chikpeas Curry). Another local delicacy that the hotel serves is their Bruder Bread or Breudher. 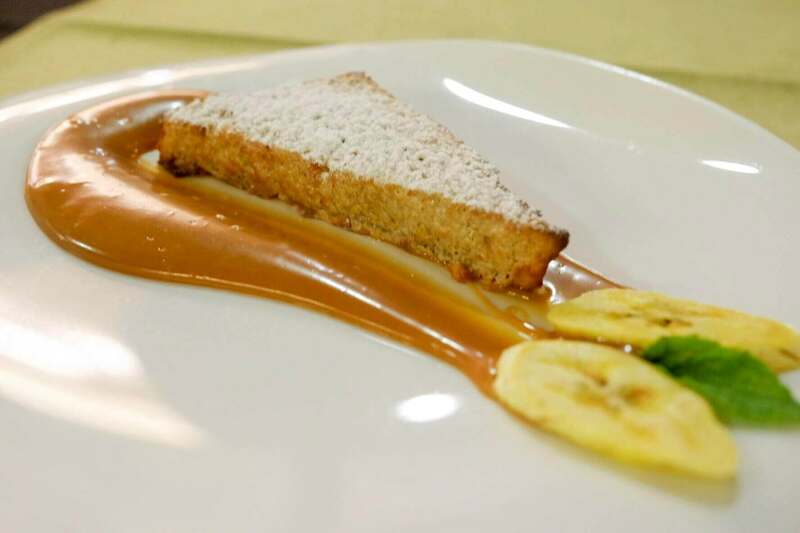 This is a plum cake which is mainly made with raisins, Indian wheat flour, yeast, egg, caramelized sugar, and spices. This bread is introduced by the Dutch to the Indians and other countries in South Asia. Today, only a few bakeries Chickpeas create this type of bread. So, the Eighth Bastion had to order these Bruder Bread from a local bakery. This local bakery is family-owned. And, their recipes are handed down from generations to the next. So, they pretty much retained the original recipe for the Bruder Bread. 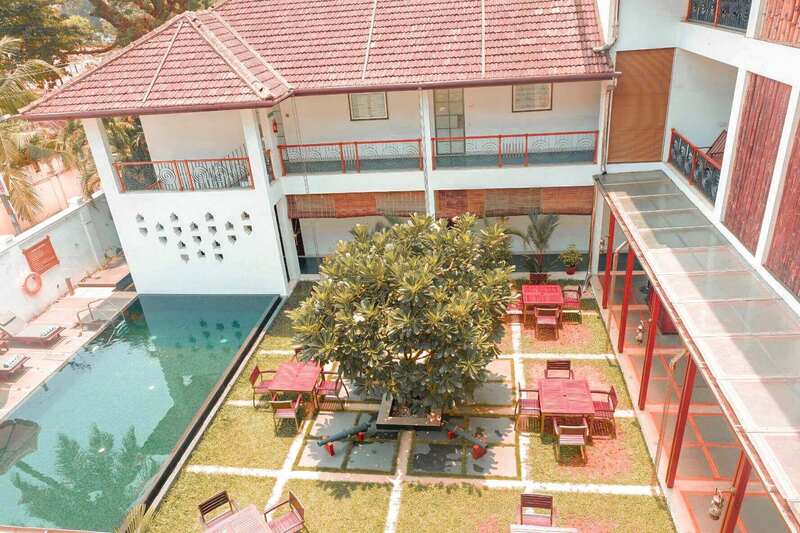 As Fort Kochi is on my bucket list, I would love to explore it as soon as possible and when I do so, I would definitely stay at CGH Earth Eighth Bastion. The place looks incredibly cozy and lovely!